Central Park 12 is a Newly renovated, Sunny, Top Floor, 2 Bedroom with 2 Off Street Parking Spaces. Across the road from the main shopping complex - This unit could not be any more central!!! The main bedroom has an ensuite (shower) which also doubles as a laundry. Second bathroom, Modern furnishings, electric heating throughout and a HUGE flat screen TV. Views of the Lake and Mountains. 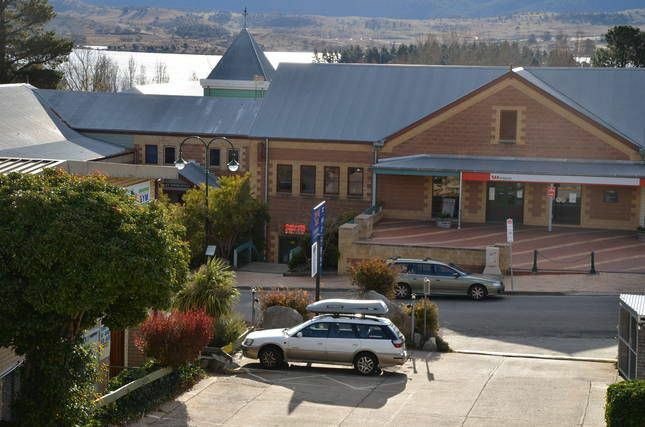 Location - Situated in the heart of Jindabyne. Pillows, doonas/blankets and linen are provided in Winter Months. Credit bond required on check in. I have been snowboarding for 25 + years, I wanted a place i could take my family and enjoy the experience with them for years to come. We have a soft spot for the mountain ranges all year round, this unit is centrally located which makes it super convenient after a days skiing, you can simply walk across the road and get your groceries without the headache of having to get back in your car, or you can simply walk to the restaurants and have a quiet drink without the stress of driving. If spending the day on the mountain is not your thing, you can go for a casual walk around the lake or go for a bike ride around the lake and trails. Best of all you cant beat the sunset over the lake in the afternoon, lying on the lounge with the heater on whilst your wife cooks Spaghetti Bolognase with Garlic Bread!. Across the road from Nuggets Crossing, all in walking distance!. Comfortable for all 6 of us, and well heated. There was a mishap with cleaning but was quickly rectified when we called the owners. Woolworths and restaurants just across the road, very convenient. Would only recommend adding another knife for cutting meat in the kitchen. We were very impressed with this apartment. It is renovated with modern bathrooms and kitchen. It is well appointed with supplies in the kitchen and toiletries in.bathrooms. The beds are very comfortable and the apartment is spacious. Foxtel is a bonus and the washer and dryer is so helpful. It is in an excellent location across the road from shops and eateries and there is a lovely view to the lake and the mountains. We're looking forward to returning again next ski season. We had a great time and were so comfortable. The kitchen was well stocked, bathrooms clean and most importantly we were warm! The unit is central to everything you need in Jindabyne. Perfect for a family or group of friends. Highly recommend staying here, John & Michelle made everything so easy. Thanks guys, we'll be back next year for sure!